Fuerteventura leisure. 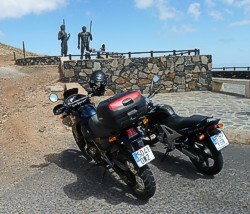 Tours and activities in Fuerteventura. Fuerteventura has a wide range of leisure activities and places to play. From the obligatory visit to the Zoo OASIS PARK La Lajita, one of the best in Spain, catamaran excursions to see dolphins and whales in submarine outlets and see the rich marine life, camel rides, and fun excursions in small cars all ground, dirt bike or 4x4guided tours are some of the available options. This company specializes in mountain bike tours or trekking through the most beautiful of the island. Prepare their monitors or custom routes established according to the wishes of the client. 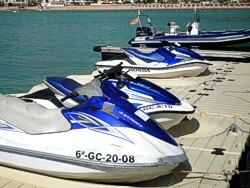 In Castillo Beach in Caleta de Fuste, we found this company to rent jet skis, kayaks and pedalos water. If you want to include your business information in this Guide Fuerteventura (School of Surfing, Kiteboarding, Windsurfing, Jet skis rental, 4x4 trails, bike rentals, hiking, etc..), Email us with your details to info@visitafuerteventura.com and will contact you to visit you and take pictures and videos of your facilities.